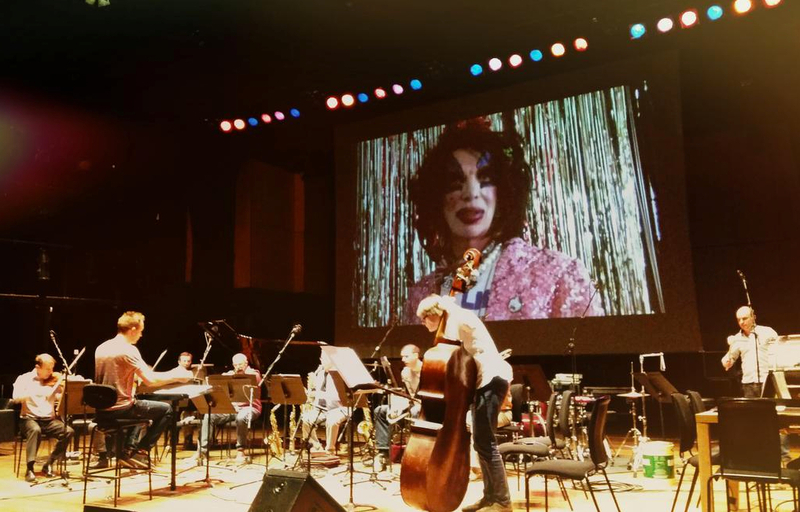 I’m delighted to have been able to contribute to the London Sinfonietta‘s Notes to the New Government on Saturday at the Southbank Centre. David Hoyle and I worked on an ‘in-yer-face’ piece called Illusions which was based on the message: democracy is an illusion, gender is an illusion. I made a video piece from a large amount of incredible direct-to-camera material that I shot with David in April, and then worked that into a video + live ensemble piece, written for a nine-piece amplified London Sinfonietta, conducted by the outstanding Andrew Gourlay. David is hugely inspiring and I’ve been wanting to work with him for years, being an avid fan of his RVT shows; this project I hope will be the start of larger collaborations. You can read the full reviews here: Guardian and Telegraph.